The last two weeks in December and the first week in January often produce the best winter action along the Bridging camp section of Chesil, offering deep water at close range. Not a venue for the lazy angler, there is a half-mile hike from the Ferry Bridge car park. The area will produce during night and daylight sessions, if the water is coloured just after a good blow. However, a big swell sweeping up the shingle will spoil proceedings and it can also be very dangerous. Very often the first two hours of a young flood produce the codling when the tide is pulling from left to right, but some will be taken through the tidal sequence. For other species, two hours either side of high is the favoured period. Codling along with the occasional double-figure cod will be the main target. A fair number of whiting feature during this short period, along with dogfish, jumbo pouting, poor cod and a few pollack. 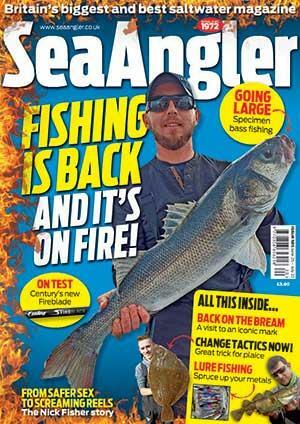 Lugworms tipped with a chunk of peeler crab is favoured, but switch to a whole squid for the real big fish. Whiting mainly come to lug baits tipped off with a slither of mackerel. Pout and dogfish seem to gobble up virtually anything; they can be a nuisance at times. A good cast is normally needed to get among the codling, although at night they will move closer to the shoreline. When chasing the big fish with a whole squid, use a size 3/0 Pennell rig, but for smaller fish try a single size 2/0 hook presented on a flowing rig. General fishing for the pout and dogfish calls for a two-hook clipped rig armed with size 1 hooks, preferably with a slightly wider gape. There is a moderate tidal pull so grip weights are needed at times; stronger tides enhance the action.